Akai GX 255, mint for sale. 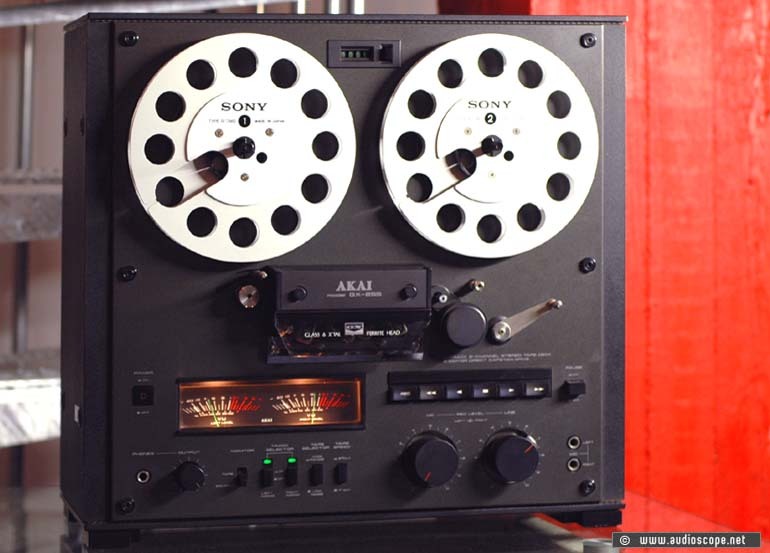 This is one of Akai´s latest generation Reel to Reel Recorders in mint condition. It features 3 heads for instant monitoring, 3 direct drive reel and capstan motors, 2 speeds (9,5 and 19 cm/sek.) and last but not least the undestroyable GX-Heads. The maximum reel size is 18 cm. Comparing the sound to an Akai GX 747 deck, you will be wondering why so many people go for the big ones. It is almost unbelivable, but the sound is so similar, that you have to be an experienced listener to hear the difference. The optical and technical condition is mint. The unit shows no wear. It has been completly serviced, cleaned and adjusted to its original specs. The orig. owners manual is included. The reels on the picture do NOT come with the deck.